Urns never go wrong in beautifying a room space. This Lotus urn is one of its kinds that you can decorate your home with. It is made from long lasting material. 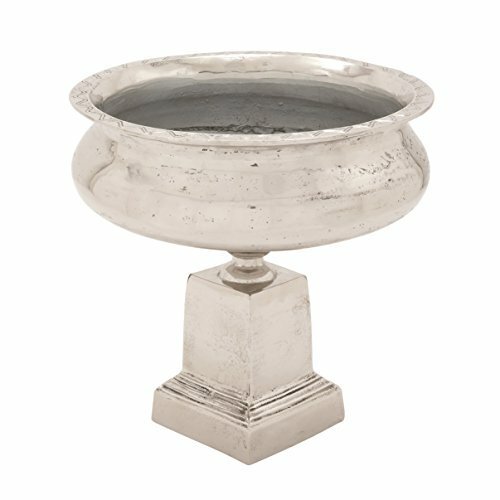 It features robust base on which the urn is crafted artistically. Entryway of your home or inner room space can be embellished well with this Lotus urn. You can also adorn this artistic urn by filling water in it and decorating it with flower petals. Place it anywhere, it's sure to attract attention of guests and visitors. Your choice in decors would be highly applauded by them. Friends who are renovating their home can be recommended to include this Lotus urn in their dwelling. It is also easy to clean and maintain. So if you like the beauty of this urn, make it a part of your home decorative.